Looking for a pre-owned vehicle at an affordable price? Browse Weir Canyon Honda’s inventory of used vehicles for under $12,000! We offer a wide selection of Honda vehicles, as well as other makes and models, such as Kia and Toyota. Browse our inventory of used models priced under 12k online, then visit Weir Canyon Honda to test drive a model of your choice! 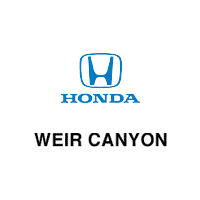 Why Shop at Weir Canyon Honda? When you shop at our dealership, you will have a wide selection of models to choose from. Furthermore, you’ll have our service center available to you for when you need to bring your vehicle in for routine maintenance or repairs. At our service center, you can feel confident that you are in good hands, thanks to our highly-trained technicians and high-quality parts inventory. We also offer a variety of service specials, so you can save on maintenance and repairs. Contact us with questions about the services we provide or our used car inventory!